Microsoft. 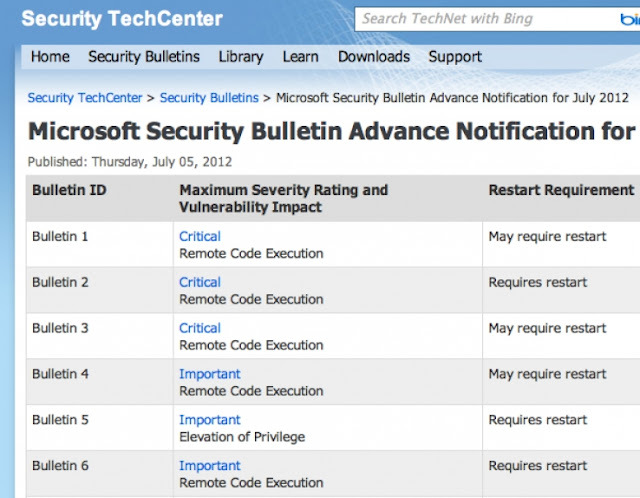 Only three of the nine security bulletins are ranked Critical, while the remaining six are rated as Important. Get the full details when the security bulletins are officially released next Tuesday. Happy patching next week!